A PCLaw expert will contact you shortly for a brief demo. PCLaw is our most holistic practice management software for law firms. 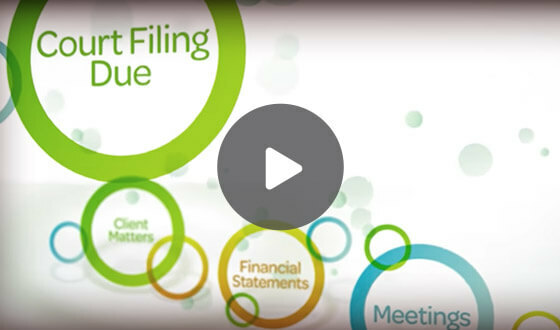 Simplify complex legal accounting and billing processes while improving your firm's bottom line. The all-in-one quick scan dashboards think like an attorney, helping you visualize financials, billable hours, calendars, tasks, client matters, messages and more in one convenient interface! Ease your mind with accurate billing and thorough financial reports. Reduce wasted time locating documents and billing records. Identify and prioritize client accounts needing follow up. Centralize all client and matter details for easy access across the team. Tackle your to-do list efficiently with this all-in-one management program. 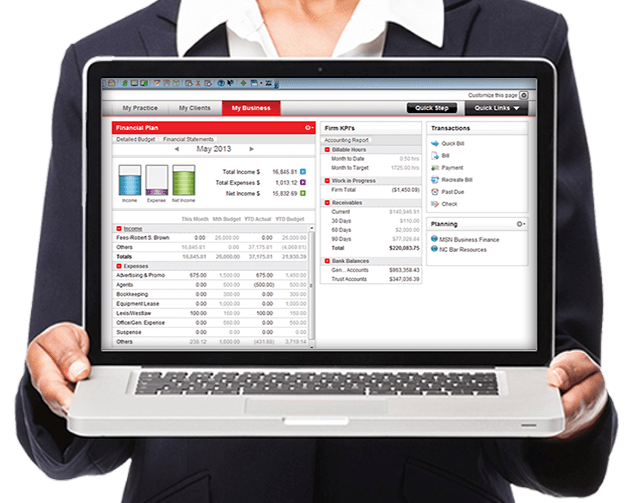 Access a broad range of software integrations to streamline processes. Take Control Of Your Firm Today. This LexisNexis® PCLaw® 2016 Demo Sweepstakes starts at 12:00:01 PM EST on 11/16/2016 and ends at 5:00:00 pm EST on 12/30/2016 (the "Sweepstakes Period"). Open only to legal residents of the 50 United States and Washington, D.C., who, as of the date of entry: (a) are 18 years of age or older, or the age of majority in their state of residence, and (b) as of 11/16/2016, are owners of or employed by a US-based law firm that has not obtained one or more licenses to PCLaw software (the “Software”). During the Sweepstakes Period, enter by: (a) accessing http://software.lexisnexis.com/PCLawSweepstakes (the “Website”) and submitting a completed online form furnishing your contact information and indicating willingness to attend a demonstration of the Software, as directed, (b) scheduling a Software demonstration prior to 5 pm EST on 12/27/2016 and (c) attending a Software demonstration, as scheduled with Sponsor, on or before 5 pm EST 12/30/2016. No P.O. Boxes. Sponsor will award 1 First Prize, 1 Second Prize, 1 Third Prize and 7 Fourth Prizes. First Prize is one Amazon Echo hands-free speaker user controls with his voice (Approximate Retail Value: $180). Second Prize is 1 $100 AMEX gift card. (ARV: $100). Third Prize is 1 $50 AMEX gift card (ARV: $50). Fourth Prize is 1 $25 Gourmet coffee gift card (ARV: $25). Sponsor is LexisNexis, a division of RELX Inc., 9443 Springboro Pike, Miamisburg, OH 45342 ("Sponsor"). Odds of winning depend on the number of eligible entries received during the Sweepstakes Period. NO PURCHASE NECESSARY. VOID WHERE PROHIBITED. For all details see Official Rules.